This is ranked based on how supportive, effective and available academic counselling services are at the respective universities. Campus Rankings The largest Canadian university and college rankings site. As part of our 2017 Canadian College and University Rankings, we asked more than 40,000 students to rate academic counselling at their school. The ranking is based on how supportive, effective and available academic counselling services are at their universities. Based on students' experiences, here are the top five universities for academic counselling in Canada. This tight-knit Christian university in southern Ontario provides a great experience if you're looking for a community feeling throughout your time at school. Their programs provide a way for students to find their true calling in the world. They're listed at #5 for Most Involved Students in our rankings, meaning you won't just be attending for the academic experience. Regardless of what you're looking for, their Learning Services are there to help. With "a variety of flexible and innovative services and programs that foster academic success and promote the development of independent and active learners," they're available to help you through all your academic questions. Redeemer was also ranked #1 for Happiest Students in our 2017 Student Survey, so if you go there, you're sure to find the support you need through the warm student community. At this small university out in Alberta, everyone has the space to be themselves, which is probably why it was ranked #3 for Most Recommended by Students. You'll also get support no matter what issues you're facing. As their website says, "Mount Royal measures its success by the accomplishments of our students," so no matter what you're looking for, their Academic Support team is there for you. They offer course selection, program planning and even mentorship opportunities with peers and professionals outside the classroom. Want to earn your scholarly chops out on the East Coast? King's might just be the right school for you. They were ranked #1 in our 2017 student survey for Most Academic Students, so it's a good thing they have the academic support to match. Even though they're a small school, they provide opportunities that you might not get elsewhere. For example, their Foundation Year Program comes highly recommended by the first-year students who've undergone this gruelling, but fascinating, program. They're also partnered with Dalhousie, their much larger neighbour, so you can always pop next door if you want to get outside your campus bubble and access their academic support as well. Trinity Western, a small Christian university out in British Columbia, was ranked #5 for Most Academic Students and #4 for Most Approachable Professors in our rankings, showing that academic support might not always be just about the resources available. This is also reflected in their academic counselling approach, which varies from other schools by offering courses such as Academic Coaching and Study Skills that students can enroll in for the duration of the term. However, they also offer more traditional drop-in appointments and writing help, if that's more your style. 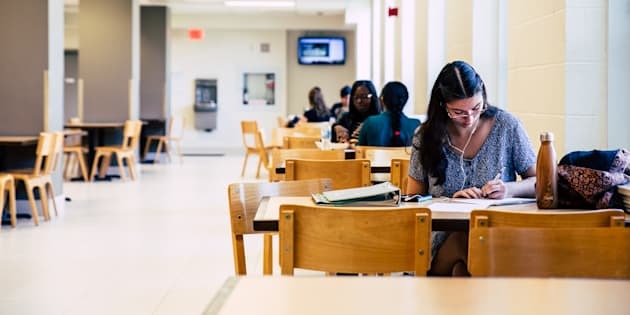 As our top-ranked school for academic counselling, Tyndale has truly earned its spot on this list by going above and beyond to support its students. It's a small Christian community within a big city. Even though it's in Toronto, you'll feel like you're part of a family rather than away at school. Plus, with resources such as their Centre for Academic Excellence, students have the hands-on support they need to succeed, no matter what problems they're facing at school. They offer online resources that students can access wherever they are, as well as in-person workshops and consultations. Since Tyndale is a smaller school, it's also easy to find opportunities to get to know professors and build relationships with them. This might be one of the reasons why they were ranked #4 for Happiest Students! If you're looking for the best academic support while you're off at university, you can't go wrong with one of these schools. CORRECTION: An earlier version of this blog indicated that Calgary is the capital city of Alberta. In fact, Edmonton is the capital city of Alberta.